This small Irish hair clip features green polka dot ribbon. 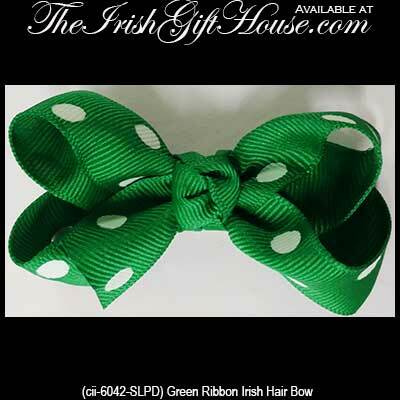 This Irish hair bow would be a grand fashion accessory on St. Patrick's Day! This Irish hair bow features green ribbon that is enhanced with large polka dots along with a metal French barrette clip. 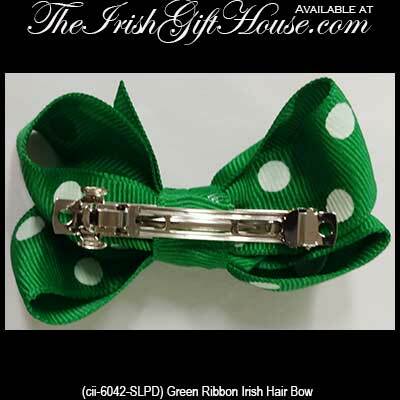 The Irish hair clip measures 3" wide with 1" wide ribbon; the metal clip measures 2 1/4" long.